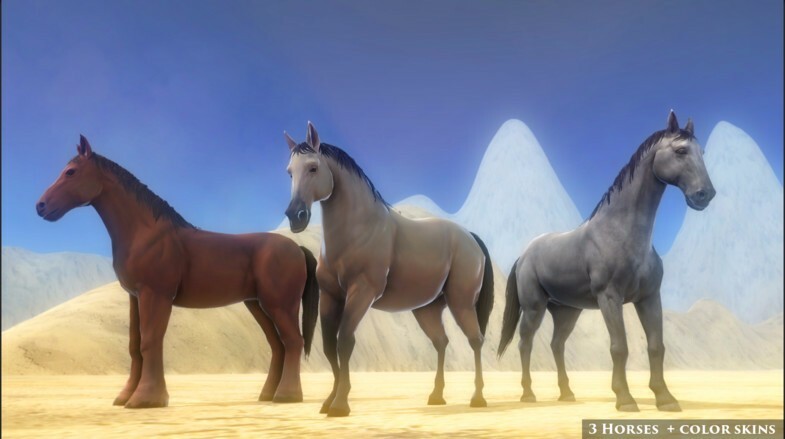 Horse AnimSet Pro(HAP) is an animation framework and Riding System controller, root-motion based, for any humanoid character. 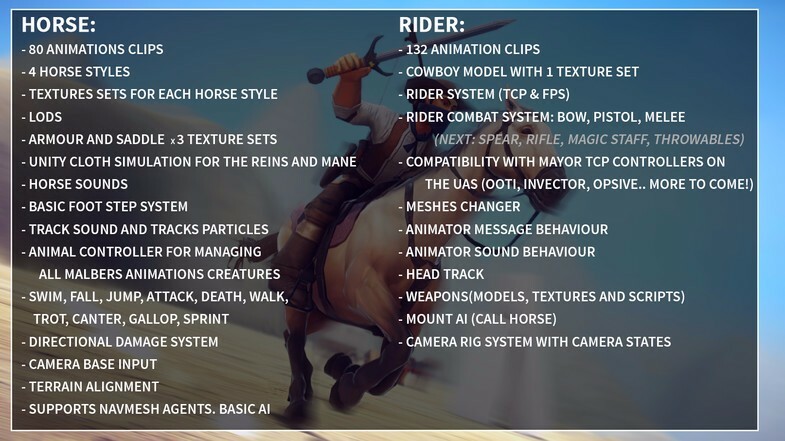 This Asset started like a simple horse model and animation pack, but it has evolved in a strong and flexible Riding Controller. 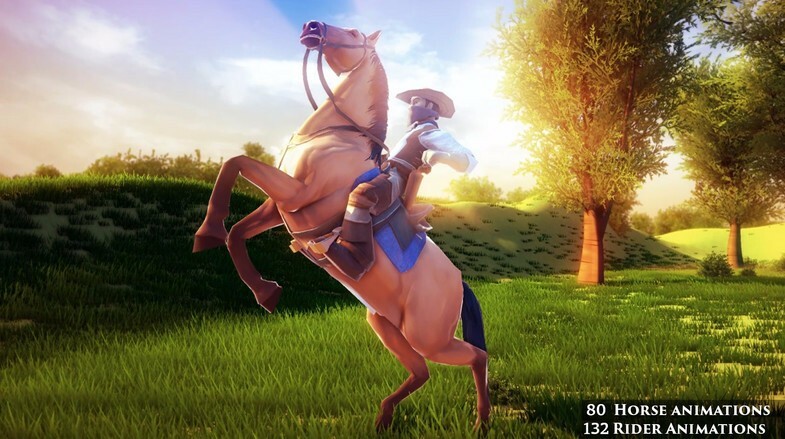 Includes a basic character controller from the standard assets, but is meant to be used with a more advanced Character Controller created by you or be use with any of the amazing character controller from the store (TCP or FPC). 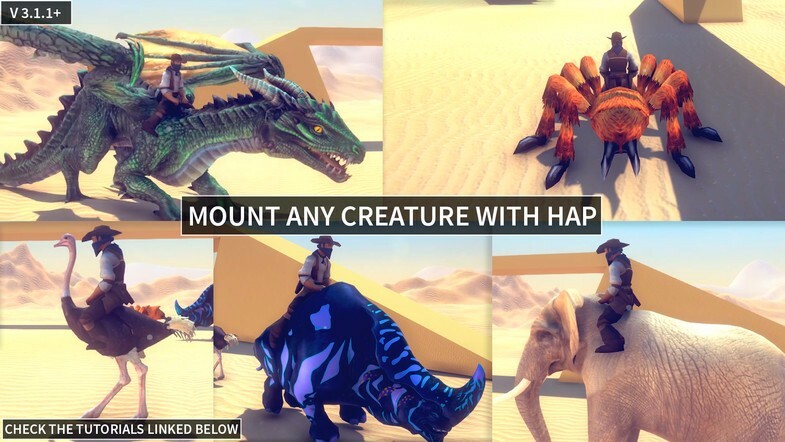 This package is continuously growing with more features and animations on each update! 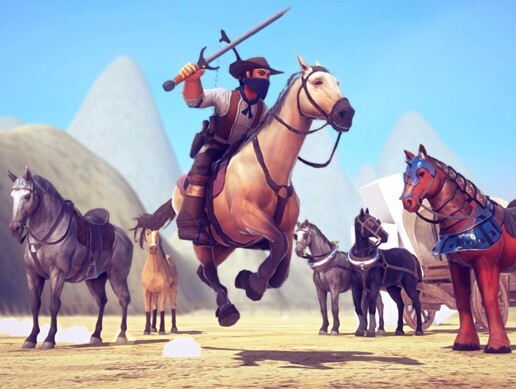 - Very very veeeery Basic Inventory system to demonstrate the compatibility of the Rider -Combat System with external inventories. - Basic Camera Rig System with camera states.